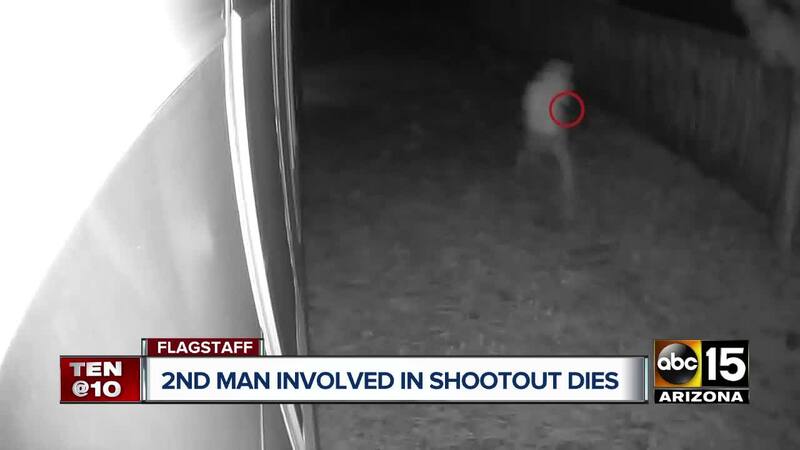 Officials from the Arizona Department of Public Safety say both suspects involved in a trooper-involved shooting in Flagstaff Wednesday night have died. 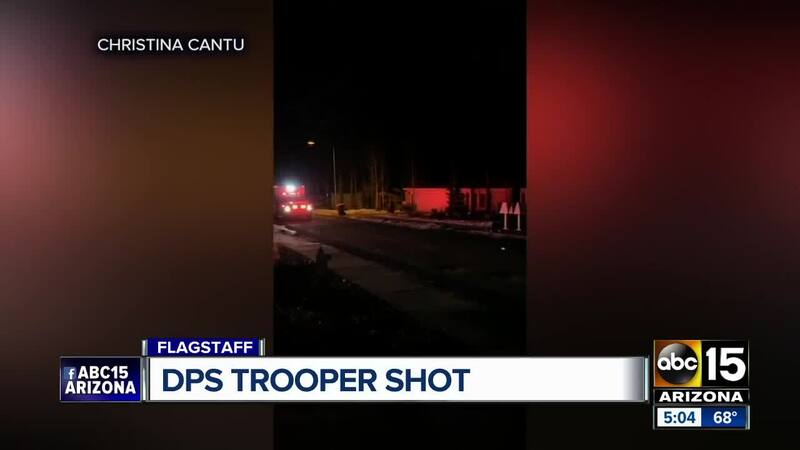 FLAGSTAFF, AZ — Officials from the Arizona Department of Public Safety say both suspects involved in a trooper-involved shooting in Flagstaff Wednesday night have died. According to DPS, the incident stemmed from a traffic violation after troopers attempted to stop a black SUV in the area of Historic Route 66 and Railroad Springs Boulevard just before 8 p.m. The driver initially stopped at a Maverick gas station on Kaibab Lane, but fled at a high-rate of speed once the trooper got out of his vehicle. The suspect drove into a nearby residential area where he and a passenger abandoned the SUV and fled on foot. Officials say the trooper coordinated a search perimeter; where troopers, Flagstaff police, and an AZDPS Ranger helicopter assisted in the more-than-hour long search. 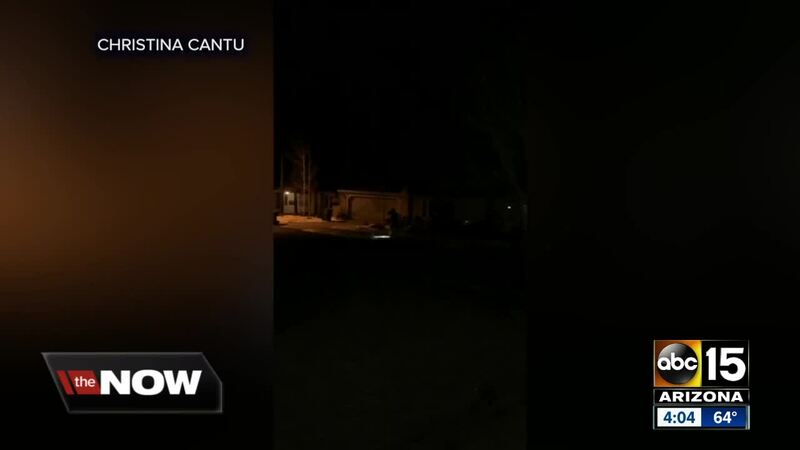 Just before 9 p.m., a homeowner called 9-1-1 and reported seeing the suspects in the area. Troopers located the suspects in front of a home on Topeka Avenue and attempted to approach the two men. DPS says as troopers approached, 20-year-old Marcus Gishal, pointed a handgun towards troopers and fired a round, striking a trooper in the left hand. Troopers returned fire and struck Gishal, who was later pronounced dead at the scene. The second suspect, 20-year-old Preston Oszust, was also struck by gunfire and was pronounced dead on Friday. The injured trooper was taken to the hospital with non-life-threatening injuries and later released. DPS said three other troopers were involved in the shooting, but were not injured. Marcus Gishal and Preston Oszust both have a history of arrests. Oszust had an active felony warrant for a probation violation, according to DPS.